Right Rev Dr Derek Browning was the guest preacher at a special Easter Sunday/rededication service at Queen’s Cross Church in the west-end of the city yesterday. He said it was an “absolute honour and privilege” to be invited to lead a service that celebrated new beginnings on two distinct fronts. The interior of the church halls, which have an attractive glass entrance and are available for hire, has been transformed into a modern community hub. It comprises of a redeveloped pre-school nursery, complete with an outdoor play area, and flexible activity space which will be used by a wide variety of groups such as senior citizens and people with special needs and living with dementia. Dr Browning said: “Queen's Cross Church is a welcoming, inclusive congregation that has shown courage and resilience by committing to the future with this new development. At the centre of the development, which seeks to bridge the gap between the sacred and secular, is an artisan coffee shop which will sell high quality drinks and food. Operated by Aberdeen firm Cognito, it will be used as a venue for discussions on subjects as varied as the sciences and expressive arts. Work to raise money for the redevelopment project started seven-years ago and the General Trustees of the Church of Scotland provided Queen’s Cross Church with a £400,000 loan. Building work started 14 months ago. Rev Scott Rennie, minister of Queen’s Cross Church, said: “I am immensely pleased that years of work and toil have brought us to the point that the Moderator has officially opened the halls. 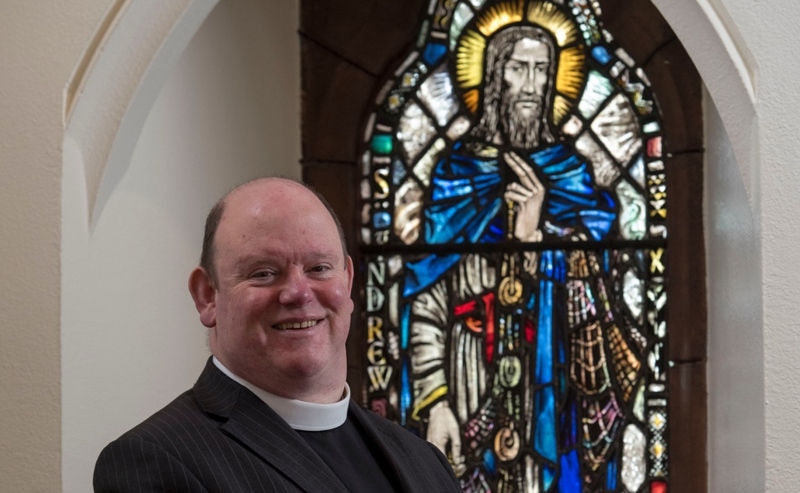 “It is a significant investment by the Church of Scotland and will provide a fantastic springboard for the congregation to open up to the local community for the next 20-30-years. Mr Rennie said it was “very exciting” to be part of the project and there was a lot of “local buzz” around it. “One of the principals of our project is we wanted it to do things in partnership with people in the community,” he explained. “So we have chosen Cognito to operate the coffee house and we are looking at partnerships with others to provide work placements for people who are finding it difficult to find employment. Mr Rennie said he hoped the church halls will be viewed by people from all walks of life as a place for them to “go into as I am”. “It will provide a non-threatening space for people to see a community that exists within the wider local community and make connections and relationships with people,” he added. Queen’s Cross Church, which was built in 1881, plans to hold an open day in June. Dr Browning said: “There are those who want to write the story of decline and retreat about the Church. “But what I have seen as I have travelled around the country is a re-thinking of what the Church needs to be in the 21st Century. “The Church, like many other organisations, is re-imagining what it can be to meet the needs of the communities it continues to serve.